What is going on in our relationship? When you first fell in love and married, you probably felt whole, nurtured and saw life in Technicolor! You felt that you were “meant for each other!” You could not believe how alike you were! However, somewhere along the way, if you are like most couples, the feelings changed and the wonderful intensity of “true love” was lost. This may have left you feeling confused and frustrated. Often blaming your partner and seeing them as the source of your pain, you begin to feel anger and resentment. If you are still married, your relationship may be merely like roommates, at best, or you may be plagued with constant arguments and power struggles, with nothing ever being resolved. You may feel hopeless that anything will ever be different, unless you break up and start over with a new relationship. Imago Relationship Therapy renews your hope that your relationship can achieve the potential that you once dreamed it would. All of us long for safety, compassion, understanding, passion and connection at the heart of our intimate relationship. Imago Relationship Therapy, developed by Dr. Harville Hendrix, is the path toward that longing. It is the “something different” that can guide you to the Relationship of Your Dreams. It helps you transform your relationship into a place of Safety and Healing, as you rediscover the joy and passion of being together. Additionally, once this is achieved, your relationship has the potential to become the vehicle for both Personal and Spiritual Growth. Imago understands that relationships form a catalyst for personal growth, healing childhood wounds and becoming a loving and fully mature adult. How is Imago Relationship Therapy different? Imago Relationship Therapy is very different from typical Couples therapy, where the therapist remains the center of your attention, while s/he switches back and forth, interacting with each individual in the relationship. Instead, Imago Therapists facilitate connection between the Couple by having them focus on each other, creating safety and understanding. This may be the first time you have been to therapy. Understandably, you may feel quite nervous and apprehensive. Perhaps you have even had a previous negative experience with couples’ therapy. In either case, Imago Relationship Therapy will be a pleasant surprise for you. Imago offers specific communication tools that allows both partners to feel safe and connected as they work through the inevitable “Power Struggle” all couples experience sooner or later. You will gain insight into how your past relationships influence your present relationships. Sessions are generally 90 minutes to allow for the depth of connection to occur. Your therapist coaches you in the skills you will be learning and practicing. Your therapist remains neutral and make it a “safe” place for you to work. You will be asked to commit to doing the “work”, both in and out of session. Because commitment is necessary for growth, it is suggested that you commit to a minimum of 12 sessions. Finally, the “flagship” of Imago Relationship Therapy is the 2-day Getting the Love You Want Couples’ Workshop. It is a powerful vehicle to transform your relationship and begin your Journey to the Relationship of Your Dreams! While it is not required, it is highly recommended to “turbo charge” your relationship and optimize your therapy results! Couples who have attended find the workshop extremely helpful and experience immediate transformation of their relationship. Research has shown that it compares to 6 months of weekly 90-minute private couples’ sessions. In fact, there are experiences you will have in the workshop that you will not have in private therapy! What is Imago Relationships International? Imago Relationships International is a nonprofit 501c3 organization whose mission is to transform the world one relationship at a time and create a new model for committed partnerships. More than 100,000 people have been touched by Imago in more than 30 countries! In addition, over 3000 trained Imago Therapists provide therapy, as well as over 200 Certified Imago Workshop Presenters offer workshops for couples and singles world-wide! Thousands of relationships are impacted by Imago every year! Imago also offers extensive training programs for qualified therapists to become Certified Imago Relationship Therapists. Because of the generosity of many donors, scholarships and other programs geared to assisting the economically challenged are available. Please direct your inquiries to the Workshop Presenter in your area if you would like to either become a donor or apply for a scholarship. Enjoy the below 50 min. video of Harville & Helen’s podcast describing Imago Relationship Therapy. About Harville Hendrix, Ph.D. and Helen LaKelly Hunt, Ph.D.
Drs. 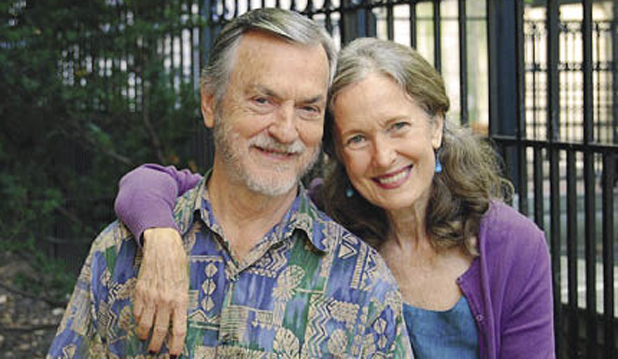 Harville Hendrix and Helen LaKelly Hunt are co-founders, with other Imago therapists, of Imago Relationships International. Harville, the President of the Imago International Institute, the education division of IRI, is the author of the popularly acclaimed books, Getting the Love You Want: A Guide for Couples, and Keeping the Love You Find: A Guide for Singles. 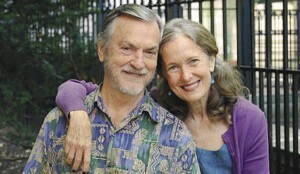 In addition, Harville and his wife Helen LaKelly Hunt, Ph.D., who has been his partner in developing Imago Relationship Therapy, and co-creator of the concept of the “conscious marriage,” co authored The Couples Companion: Meditations and Exercises for Getting the Love You Want and The Personal Companion: Meditations and Exercises for Keeping the Love You Find. They also collaborated on Getting the Love You Want: The Home Video Workshop, for which Harville and Helen were executive editor and executive producer, respectively. This award winning series was introduced and endorsed by Oprah Winfrey when it aired on Public Television.